Many generations into the future, there are “tribes” that live on space ships. Ava is the eldest daughter of the leader of the Parastrata ship and a repressive society where women are seen as useful in breeding stock only. Other floating communities are not as repressive, but arranged marriages do seem to be the way of things. 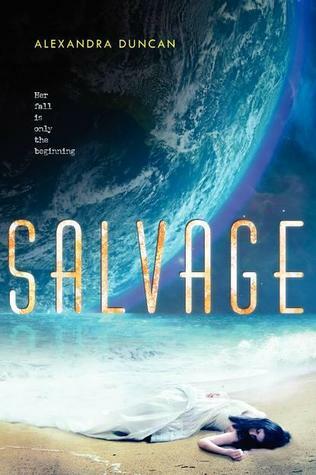 When a marriage arrangement goes horribly wrong, Ava’s only hope of survival is to escape to Earth and find a long-lost aunt. She never spent time conditioning to gravity so when she reaches the Earth, she is ill for a long while. She has few clues to find her aunt but with the help of new friends, she journeys to Mumbai. There is an interesting cast of characters, but the main character, Ava, is one that I didn’t particularly care for. Things happen to her but she survives due to the kindness of others and not from any real character strength or cunning. It is another futuristic book about a repressive society and an Earth that has been horribly polluted.